It's time for this week's challenge over at Christmas Card Challenges. 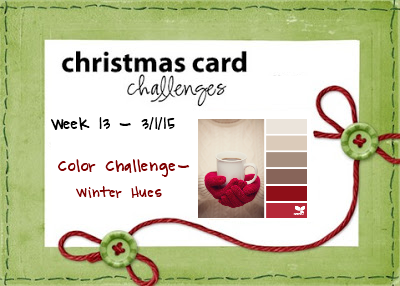 This week we have a Winter Hues Color Challenge. I hope you will get a head start on your Christmas cards and join us this week. We now pick a weekly winner and honorable mentions! Thanks for stopping by! I added this tree ornament that I made to the front of my card. To make the tree I cut a triangle out of grunge board and added some burlap, and trims by Amy Tangerine and Maya Road. The brad at the top is from Cosmo Cricket. The papers are from the Crate Paper Bundled Up Collection. 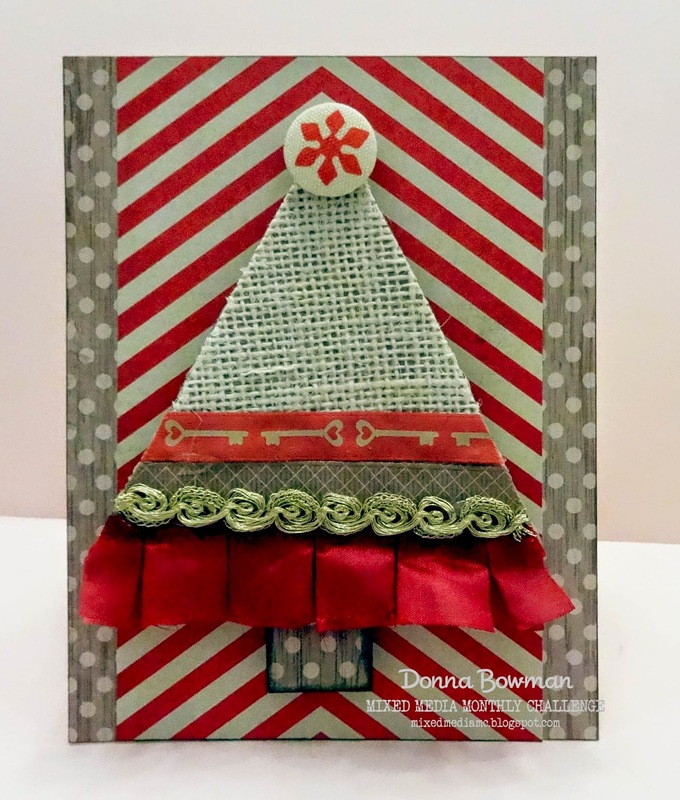 Great dimension and texture, perfect for a great Chrissy card! This is so creative Donna and I love all the beautiful texture. Wonderful dimension and I love the paper behind the tree too!